I don't plan on spoiling the story but just in case... SPOILER ALERT. Interestingly enough, the only images I can find are the ones from the trailers and posters. Well played Marvel. I can see why they're doing that. The movie has a lot of awesome surprises. They don't want reviewers like me ruining it. Those moments were epic!!! I knew Age of Ultron would be awesome. Was it better or worse than The Avengers. It was just as good, only longer. Some of the novelty has worn off because of The Avengers and Captain America: The Winter Soldier. Age of Ultron was still a fun ride full of Easter Eggs for upcoming Marvel movies and some winks to the nerd in me. Because it was about 2 and a half hours, Age of Ultron had way more emotion than the first movie. The Avengers were still a bunch of kids only a little older and they're a little better at working together. Well, they're better at fighting together. Some of them still need help in the communication department. They're trying to be a team but, the Avengers aren't just Avengers. They have "day jobs." Man, do they have some egos.We got the witty/funny dialogue we've come to expect from Joss Whedon. Funny. I didn't like Hulk/Banner until The Avengers. Banner was awesome and a little wimpy for letting Stark push him into doing something he knew was a bad idea. That just made him more relatable. 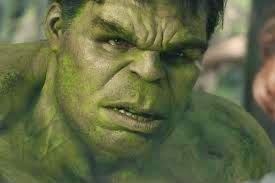 Hulk's facial expressions at times made him look kind of like a big green puppy. 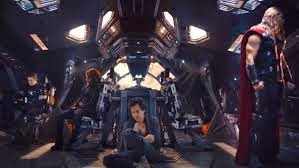 You could tell from the trailer that Banner and Natasha have a thing, sort of. They have a making of a thing. It was awkward and sweet without being overdone. The awkwardness wasn't a bad thing. You'd expect it with these two characters. So the story. Originally, Ultron was created by Ant-Man. In the movie, Stark and a very reluctant Banner "created" him. The new story worked. This movie's cast was already reaching that breaking point. They didn't need any more poeple. Good call on that one. I don't like Ant-Man anyway. 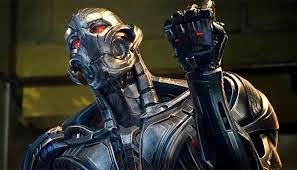 Ultron was awesome. Marvel created yet another charming yet psychotic villain. I felt for him some moments. I was seriously like, I know he's a monster but I want him to stay around- without the whole destroy the human race thing. He had an engaging personality. Ultron was complex. I didn't expect that. It was funny watching the movie dance around the word "mutant." Agents of SHIELD does the same thing. Marvel seriously needs to get the rights back for X-men. 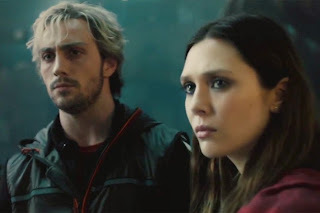 I wonder why they decided to put Quicksilver and Scarlet Witch in Age of Ultron. I liked them, though. I bought they're non-mutant backstory. We gotta do this. Age of Ultron Quicksilver or Days of Future Past Quicksilver? I've been trying to figure that out. I don't think you can compare the two. They were both fun. I can see Days of Future Past Quicksilver growing up to be Age of Ultron Quicksilver...with an accent. I'm using the names Scarlet Witch and Quicksilver because that's what I know them as. In Age of Ultron, they're just Pietro and Wanda Maximoff. The movie is also Scarlet Witch's origin story. Vision! I was totally geeking out when I first saw his eyes in the trailer. In the movie, anytime he was on screen, he stole the scene. I'd say Vision is my favorite addition. As you can imagine, Age of Ultron has a lot of moving parts. I enjoyed the story. I didn't think it was too much. I wasn't bored or overwhelmed. I also think a lot of Age of Ultron was setting up Marvel's Phase 3. Avengers went to Wakanda. We meet Ulysses Klaw for a brief moment. We'll be seeing him again. Black Panther anyone. Stranger seeing Andy Serkis actually on screen. You know him as Gollum from Lord of the Rings and Caesar from Dawn of the Planet of the Apes. 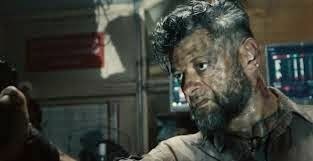 Serkis was creepy and memorable as Klaw. The Avengers went into hiding because a lot of people was mad at them. Can you can say Captain America: Civil War?! Reading Civil War was bad enough. Watching it is going to be heartbreaking. Age of Ultron had some Rogers and Stark bro moments. Civil War puts them on opposite sides of the battle. For the record, I'm against superhero registration. The idea of superheros being controlled by the government gives me the willies. We don't handle people, items, with power very well. Although, Age of Ultron showed the Avengers are really bad at policing themselves... I stick by my first statement. Wanda messed with almost everyone's head. Thor gets disturbing visions. He goes off to investigate them. We got a peak of Thor: Ragnarok. Thor's vision also showed the Infinity Stones. That end-credit scene had everyone in the theater cheering. I so want to tell you what it was. I'm geeking out just thinking about it. Hello, Avengers: Infinity War. Before I read this article from Uproxx, I still had hopes that Coulson would be in Age of Ultron. He wasn't. It would've been awesome to have him make an appearance. Age of Ultron's plot was bloated enough. They didn't need to add anything else. If Coulson appeared in Age of Ultron, someone would have to explain why he wasn't dead. You can't assume everyone who saw Age of Ultron also watches Agents of SHIELD. Since that article, fans have been saying it's not all connected. I disagree. The last episode of Agents of SHIELD mentioned the twins, Loki's staff and a metal man. I'm pretty sure Age of Ultron explained that secret project Coulson's been working on. So #Itsallconnected. Of course I saw the movie in 3D. Was it worth it? I don't know. Marvel does 3D by adding depth to the scenery. They're usually good at it. They don't throw things at us. I was so into the story, I wasn't paying attention to the 3D. I would say don't see it in 3D. The story and the characters are what's important.